Shout Select – Make Mine Criterion! Typically, our “— Made Mine!” posts involve our happily reporting that an MMC! proposal has become a reality. The extra features might vary and the cover treatment is always different, but the title now in fact bears the our desired label’s insignia and that always feels like something to celebrate. MMC! doesn’t commemorate instances where labels that usually are not the focus of our title proposals subsequently release editions of movies discussed here. For example, Kino Lorber has released Blu-ray editions of quite a few films proposed here for Criterion treatments. Beggars of Life, The Chase, The Knack … and How To Get It, They Shoot Horses, Don’t They?, and The Taking of Pelham One Two Three have all received fine hard media releases with a prominent KL on the spine. We don’t go down the rabbit hole of trying to keep up with parallel editions from labels not regularly discussed at MMC! but they’re out there and we’re buying them. And then we come to the strange case of Joe Dante’s The ‘Burbs and Matinee. At the time they were proposed by MMC! to be part of the Criterion Collection, The ‘Burbs had been announced as a UK only title for Arrow Video with no special features yet detailed. Arrow Video’s release of a UK only edition of Matinee was not even on the horizon. MMC! 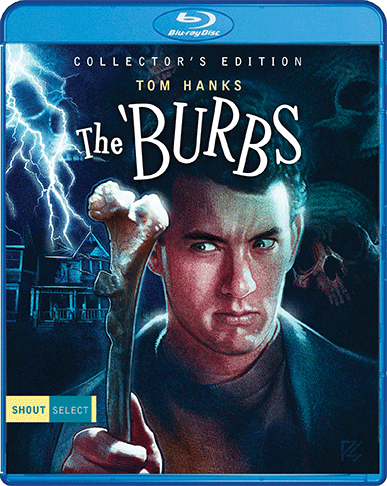 overlooked these editions primarily because they were not for the North American audience, but now Shout Select has announced a forthcoming edition of The ‘Burbs for March 20, and with a January 16 release date already forthcoming for Matinee, we had to make something of an exception and celebrate these past MMC! titles given a new life on an MMC! favoured imprint, even if they don’t exactly match up with our original intentions. Once again, film world, you’re welcome. Oscar-winning* director Jean-Jacques Annaud transports audiences 80,000 years straight back in time to the last Ice Age with this accomplished prehistoric spectacle. Three Neanderthal men (Everett McGill, Ron Perlman, Nicholas Kadi) go on an epic journey of survival to bring fire back to their tribe, encountering along the way savage predators, dangerous cannibals, and a mysterious woman unlike any they have seen before (Rae Dawn Chong). Shot on location in Scotland, Iceland, Canada, and Kenya, this award-winning drama of early man’s survival is a singular cinematic experience and “a first-rate, compelling film about the dawn of man” (Video & DVD Guide). 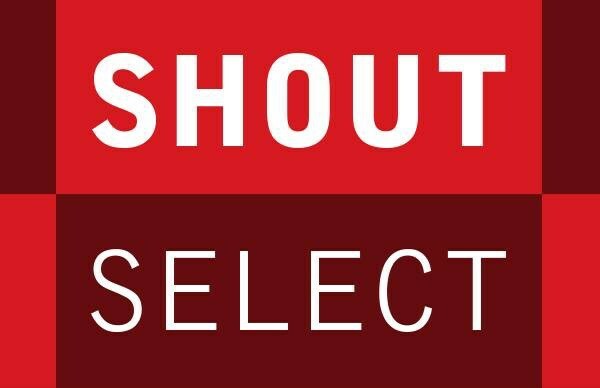 Designed with the film lover in mind, SHOUT SELECT shines a light on films that deserve a spot on your shelf. From acknowledged classics to cult favourites to unheralded gems, SHOUT SELECT celebrates the best in filmmaking, giving these movies the love and attention they deserve. Jonathan Demme adapts the stranger-than-fiction life of Melvin Dummar to the big screen, celebrating the fair-weather fortunes of an affable everyman who offers a late-night ride to the world’s richest man, Howard Hughes. Dummar returns to his workaday life, struggling to get ahead with dead-end jobs and game show fantasies until a letter arrives out of the blue naming him as a possible heir to Hughes’ fortune. Being poor was hard, but Dummar discovers in this slice-of-life satire that the prospect of being rich is even harder. Melvin and Howard is a feel-good story about tough luck starring Paul Le Mat and Jason Robards as Melvin Dummar and Howard Hughes, a pair of scruffy outcasts at opposite ends of the economy. Featuring an Academy Award-winning screenplay by Bo Goldman and supporting performances by Pamela Reed, Michael J. Pollard, Gloria Grahame, Charles Napier, Dabney Coleman, and Mary Steenburgen in an Oscar-winning role as Melvin’s first and second wife, Jonathan Demme’s tale of hard work and easy money is an under-appreciated American classic.